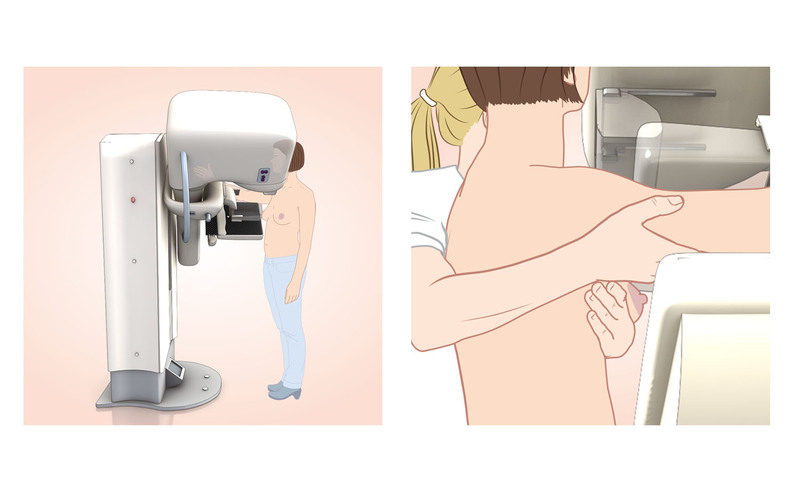 breast screening | Big serie of illustrations made for an instruction manual for mammography radiologists. A good positioning of the breast in the mammograph is essential for the detection of breast cancer tumors. 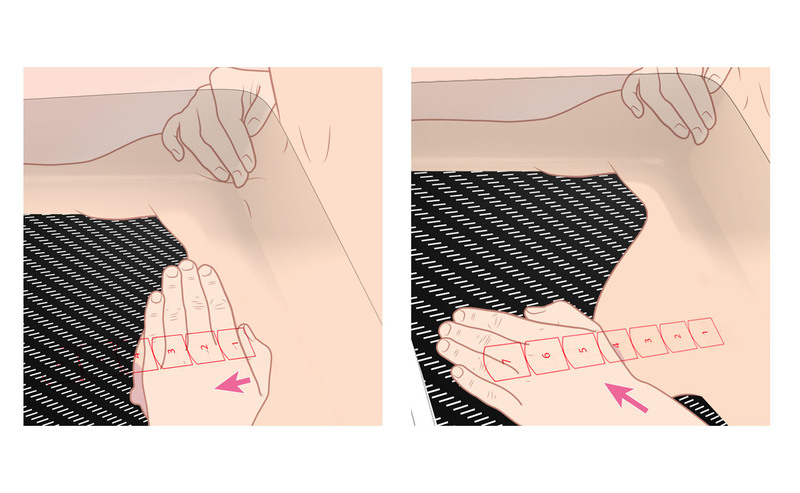 These illustrations were created in close cooperation with Cary van Landsveld-Verhoeven. 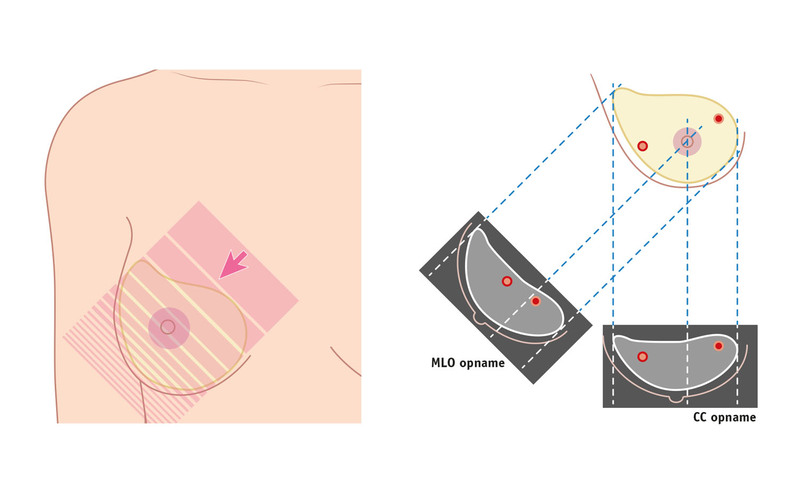 The use of illustrations in stead of photographs focusses on the correct positioning of the breast in the mammograph. The use of photographs would cause a lot of distraction and the essence of the image would not be communicated in an optimal way. The illustrations rendered in one style ensures serenity in the book. 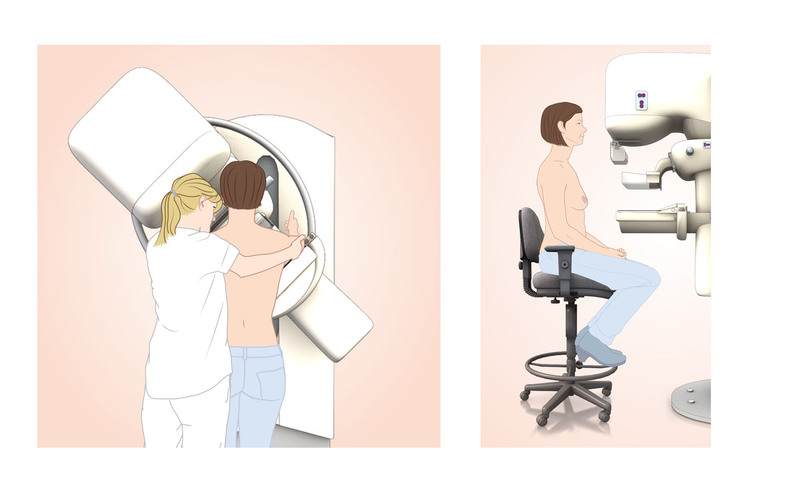 The use of renders of a 3D model of a mammograph made it possible to create a large number of illustrations within the available budget.